Have you taken a class at College of the Desert from Dr. Bert Bitanga or Yeshiming Jue? Did you visit Desert X or Coachella Music and Arts Festival to see the work of Phillip K. Smith III? Have you seen the award winning films written, directed and produced by Corina Gamma? Have you spotted locals wearing the fashion designs of Sofia Enriquez? Did you catch 2 bit Frida mural in Cathedral City by Marnie Navarro? Have you experienced Epicenter Projects; art, sound, and light installations curated by Cristopher Cichocki? Does your student attend Desert Ridge Academy where Lauren Shibata teaches art? Have you seen Chris Sanchez aka Kas Infinite work recreated as public art on utility boxes in Indio? Have you visited Coachella Walls, a series of murals conceived and curated by Armando Lerma? Did you know artist/educator Catherine Chiu has received awards from National Endowment for the Arts for her art addressing environmental issues? What do these and 400 more native Coachella Valley creatives have in common? They all were awarded college scholarships made possible with proceeds from La Quinta Arts Festival. The $1.3 million dollars awarded to local students is just half of the story of how this community event has made an impact. When you attend La Quinta Arts Festival and purchase original art, you are making a difference in the livelihoods of working artists – and in some cases a critical difference. Artists have shared personal accounts of their success at La Quinta Arts Festival meant they could pay medical bills, recover from catastrophic events (several have been impacted by the recent fires and floods losing everything) and have been able to support their families counting on La Quinta Arts Festival’s ability to draw art loving patrons. Home-grown events like La Quinta Arts Festival are good for the local economy. The money made here, stays here supporting local businesses and jobs, driving cultural tourism, and securing tax increment and fees to benefit the city. Last but certainly not least, the signature event yet again reigns supreme as #1 Fine Art Festival in the Nation. 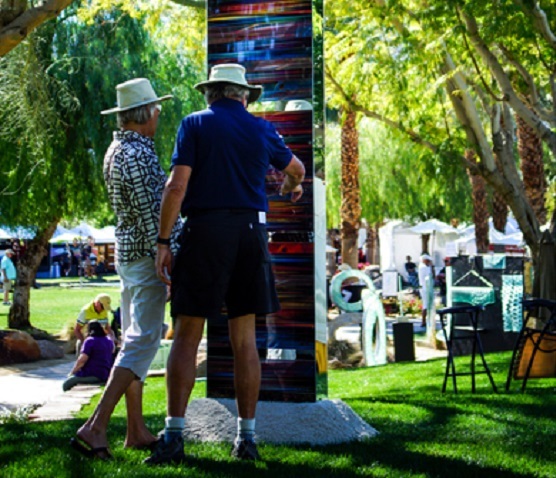 Join us for what promises to be the best ever, 37th La Quinta Arts Festival, March 7-10, 2019. Tickets and more information at LQAF.com.